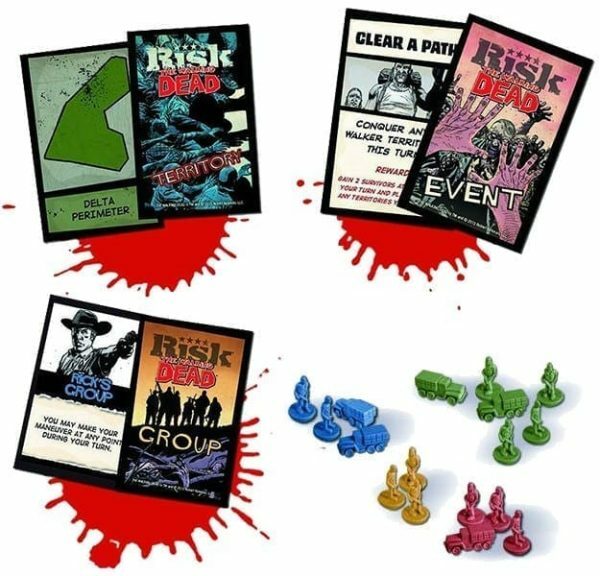 Risk The Walking Dead allows players to vie to be the dominant group of survivors in a post-apocalyptic world infested by the undead. 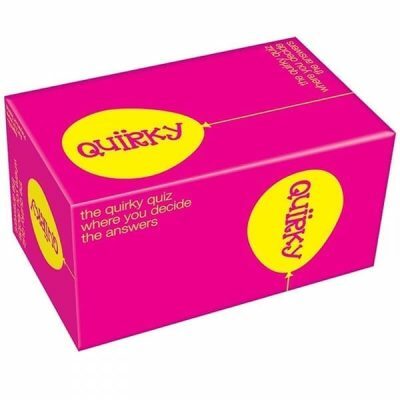 Based upon the hit graphic novel series, The Walking Dead, Risk The Walking Dead forces players to fight for survival in a deadly game of conquest. 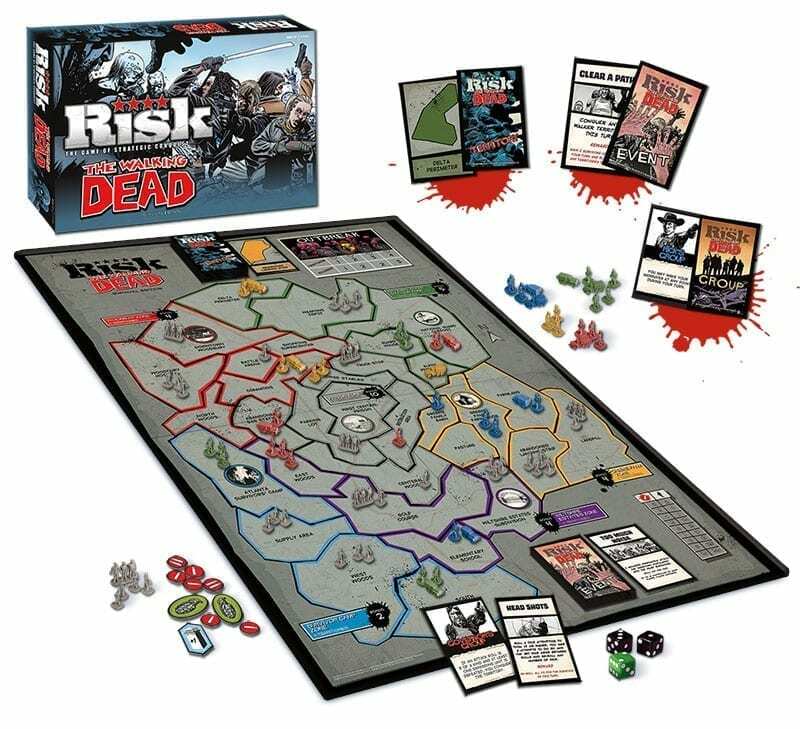 Risk The Walking Dead features the familiar Risk gameplay, with players facing off against one another in order to claim territories on a map, win bonuses, and eliminate the opponents. What differs with this game, though, is that players are battling on a map depicting the southeast region of the United States, the setting for The Walking Dead comic series, with the map featuring 32 territories and six zones. In addition to fending off attacks from and competing for resources with the other players, they must also maintain their self-preservation from the unrelenting hordes of the undead that spawn at the start of each player’s turn and would love nothing better than to feast upon them. 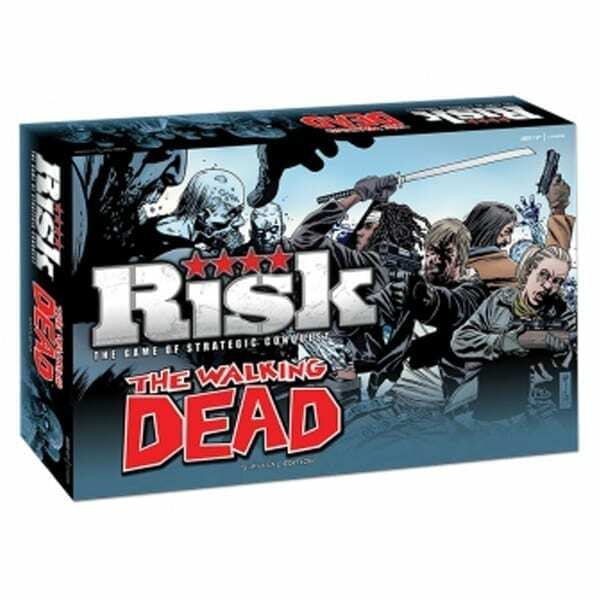 Risk The Walking Dead includes a deck of event cards, with each player drawing one at the start of his turn. These cards refer to story events from The Walking Dead, with players facing various rewards and penalties depending on the situation. 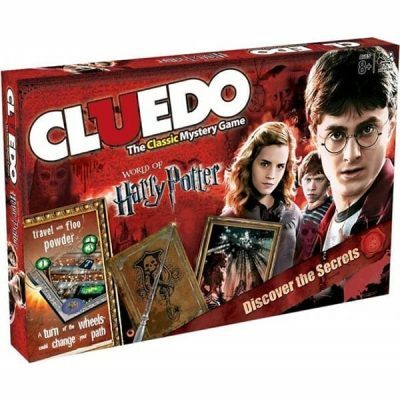 The game ends after a fixed number of turns, but players can also choose to battle until all but one player is eliminated.